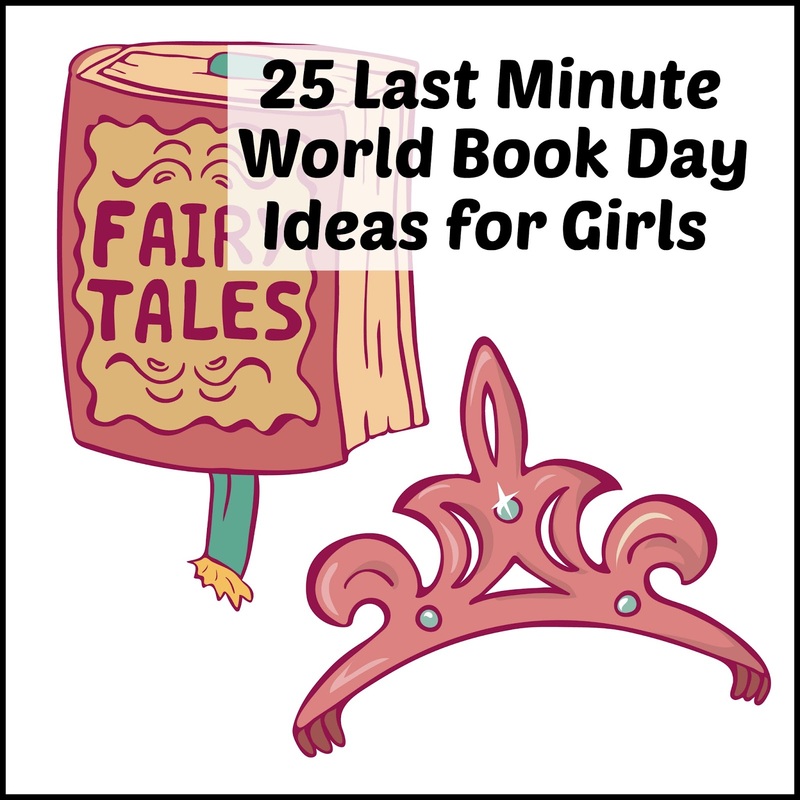 If, like, me, you are prone to leaving things to the last minute, or, you just don't have a lot of spare time, you might be in search of easy, quick, World Book day costume ideas. Here are the easiest costumes I could think of for girls, hopefully using items you will already have at home. You may not be able to do all of them, the idea is to pick one that suits what you have in your house. If they don't know the book, then start reading, quick! It's a great opportunity to learn something new, and all the books I chose are either children's classics or from the top 100 children's book list. The costumes are meant to be easy, not perfect, but they should get you out of trouble! There are lots of Charlie and Lola books, where she wears a different coloured dress and tights combination. Just pick the one you can match the closest with what's in the wardrobe! Verruca Salt: Smart red dress, white tights, or long socks. Violet Beauregarde: Blue top and trousers or blue oversized top, stuffed with a pillow, or similar and blue face paint. Silky the Fairy: Any fairy costume already owned, or a pretty dress and wings. Purple pinafore over a blue shirt, or as close as you can get, stuffed toy tiger and teapot. Maisy has lots of books, all featuring different outfits. Find the easiest one for you to copy and add nose and whiskers with face paint. You can make ears, by cutting circles out of card and attaching to a head band, but she often wears a hat, so that's an option too. Miss Honey: Pale blouse/shirt, long necklace, long skirt, pile of books to carry. Matilda: Blue pinafore/dress, red headband, pile of books to carry. Amanda Thripp: White shirt, pink trousers/dungarees, two high plaits. Red dress or white top and red skirt, satchel, toy goat, small bunch of daisies or similar. Yellow t shirt, red pinafore dress or skirt, paper plate with pretend peas stuck on. You could use play doh, painted clay, or paper rolled into a ball and painted. Tinkerbell: Fairy costume, see The Magic Faraway Tree above. Long grey or light blue dress, straw hat, plaits. Perfect if you have a ballet outfit, if not, you could always borrow one. 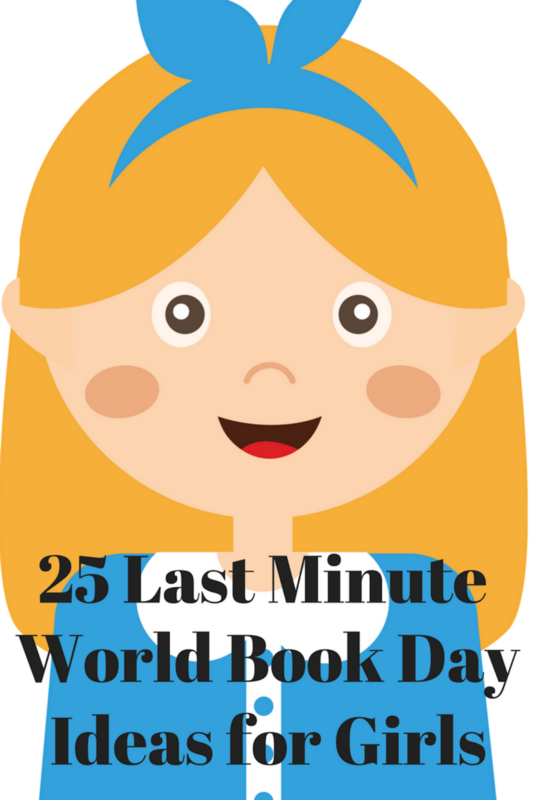 I hope you have found something you can manage from our 25 last minute World Book Day ideas. 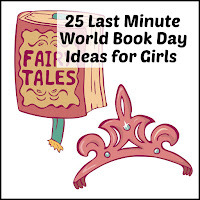 If you need a World Book Day costume for a boy, click the link! These are fab! My daughter last minute decided to go as horrid Henry last year and I was frantically trying to crochet a bloody stripy jumper in less than a day haha! Ah we love so many of these. A lot sound amazing that we’ve not seen before so i’ll be checking those out - we’re on the hunt for some more book.